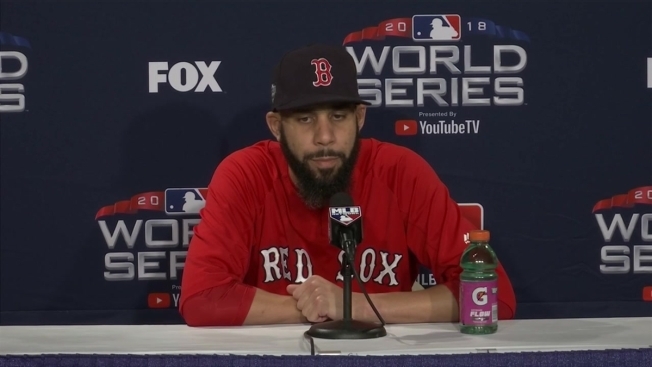 Red Sox starter David Price, who will pitch Game 2 of the World Series, said he and his teammates were looking forward to facing the Los Angeles Dodgers. As Chris Sale prepared to take the mound for the Red Sox Tuesday in Game 1 of the World Series against the Dodgers, Boston's Game 2 starter said he was excited for a chance at a championship. David Price is projected to start Wednesday night. He said that even though Red Sox pitchers haven't had as much experience with the Dodgers' lineup, he has confidence in his and his teammates' abilities. "This is the same game we've been playing all year long, against a team that a lot of us probably aren't that familiar with," he said. "But I think we're all excited for it." 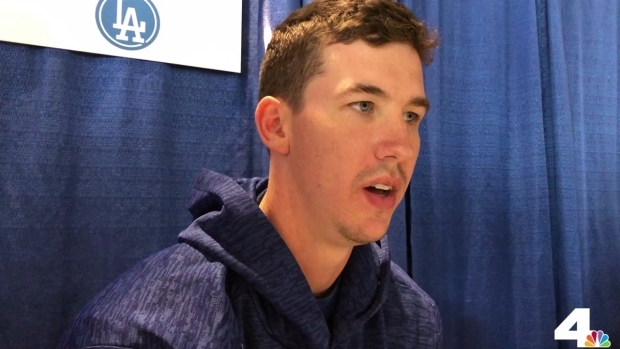 One of Los Angeles' players Price knows well is 24-year-old Walker Buehler. The rookie, who will start Game 3, is a fellow Vanderbilt University alum, and Price says he has kept in contact with the rising star. "Obviously, one of us is going to win a World Series. Hopefully it goes to the elder of the Vandy guys," Price said. Long criticized for his lackluster work in the postseason, Price struck out nine batters through six innings in a Game 5 gem on the road against the Astros, helping to close out the ALCS. Allowing no runs, the outing cut his career postseason ERA from 5.42 to 5.04. The night before, in Game 4, Price warmed up in the bullpen in the late innings. He was asked if he planned to do the same during Game 1. 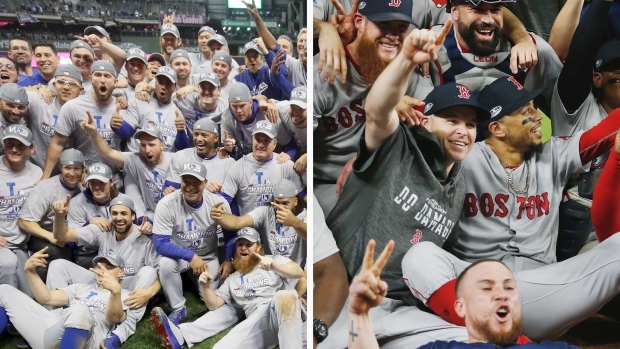 Players from both the Los Angeles Dodgers and Boston Red Sox speak with the media ahead of the 114th edition of the World Series, featuring a battle of two historic franchises. "No, not going to do that tonight," he said. "I had a good catch out there a little bit ago, so I'll carry that into tomorrow." Price had previously said something clicked during that night in Houston before his start. 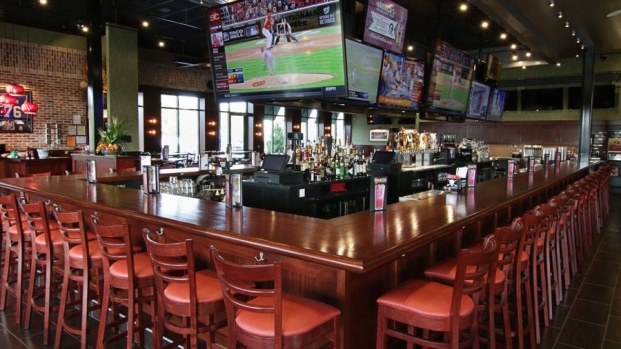 "Just something that makes my delivery just flow a little bit better," he elaborated Tuesday. "Kind of put my arm more on time for every throw, just put me in a position to execute every pitch." Price will look to build on that success in his first World Series as a starting pitcher. He appeared in two games as a reliever when the Tampa Bay Rays lost to the Philadelphia Phillies in 2008. He was a September call-up that season.